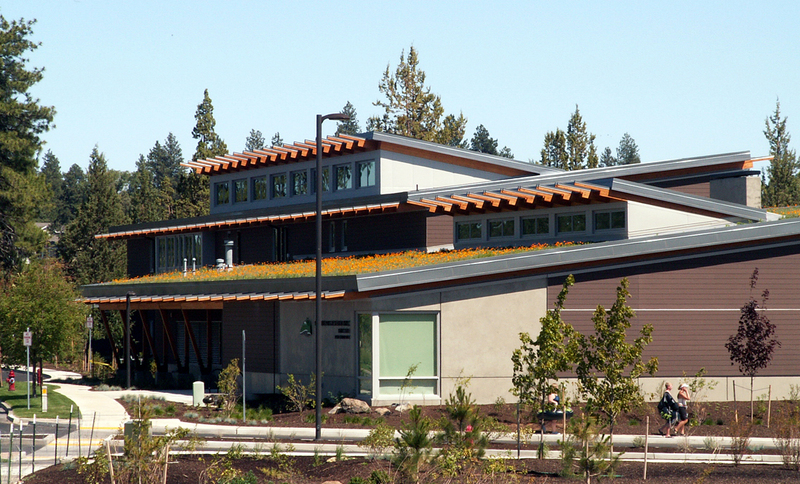 With the construction of the new Parks and Recreation Headquarters, an ecoroof was added to the building to show its stewardship for the environment. The building is the central to the new “Mill Works” site in downtown Bend. 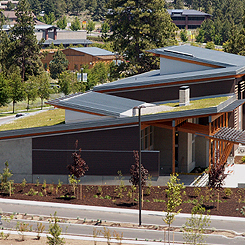 The roof is visible from the surrounding stores and offices, and blends into the Deschutes River and riparian area, which borders the site. The ecoroof is a single soil profile on a 3:1 sloping roof and is mainly comprised of hardy sedums and a few native grasses, forbs and flowering perennials. The ecoroof requires minimal annual maintenance and has been irrigation free since 2010.